Even if you have not travelled to the UK, chances are you will have heard about the legend of the English pubs. According to 17th-century writer, Samuel Pepys, “Pubs are the heart of England”. Images immediately spring to mind of age-old buildings, full of history dating back hundreds of years. I can visualise the plates of bangers and mash and fish and chips being eaten in pokey dining rooms, often full of an eclectic mix of antique furniture, looking slightly worse for wear. Many a TV show on the BBC has been filmed inside an English pub. The centrepiece of any of these pubs is, of course, the barman, pouring pint after pint of English beer, usually dark and always warm. On all of our previous visits to London and in fact England, we’ve frequented many pubs, but my love of good beer didn’t start here. In fact, I did everything I could to avoid it. That was until now. I haven’t totally conformed, and I can’t say I’ve become accustomed to drinking warm beer. However, like everything in our ever-changing world, the beer industry in the UK has also had to modify and reinvent itself to remain relevant to an increasingly demanding beer drinking market. We recently heard about some historic pub and food tours in London and we were keen to give them a try. 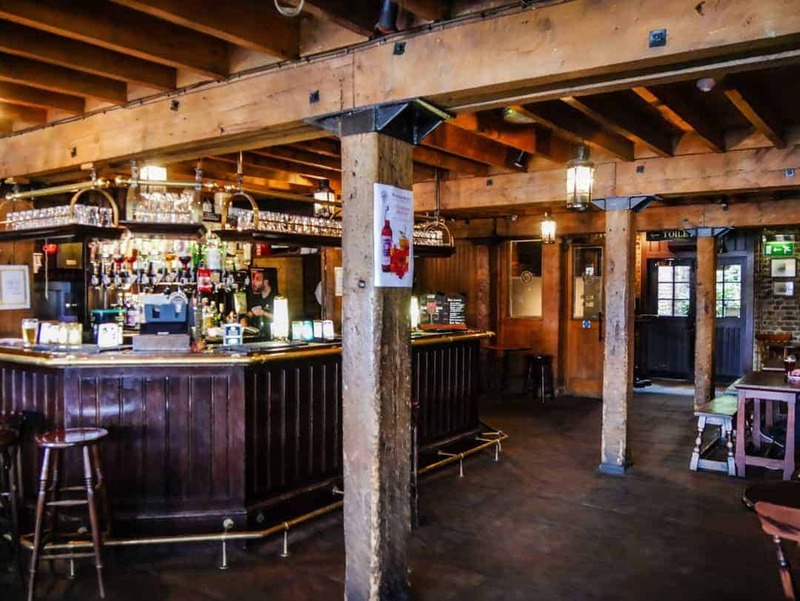 So, we made a booking for the London Old Docks Historic Pub and Food Tour. 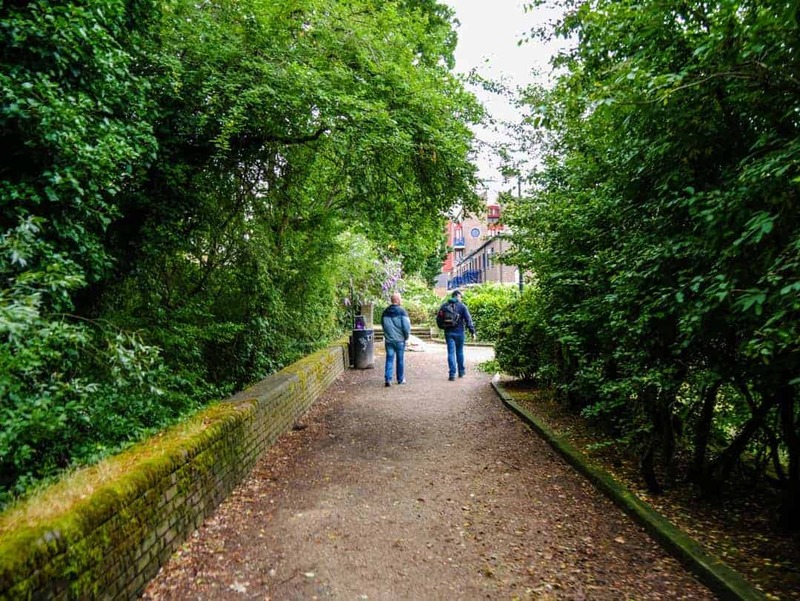 Before the tour had even started, Nicole, our tour leader, was keen to impart her knowledge of an area not yet completely embraced by the broader London population, and most certainly not to visitors. As the mud-larkers fossicked on the banks, left exposed by the retreating Thames River, we learned that these people were responsible for finding many important historical artefacts that helped to fill in the blanks of London’s past. Many of the items they find are inextricably linked to the wartime which was not surprising given how much of these eastern London docks were bombed during World War Two. The artefacts, if proven to be of historical significance make their way to many of the museums. And so it was that on a very cold summers day, our scene was set on the banks of the Thames in East London. A long time ago, this dockland area was once home to the oldest trading docks in the world. 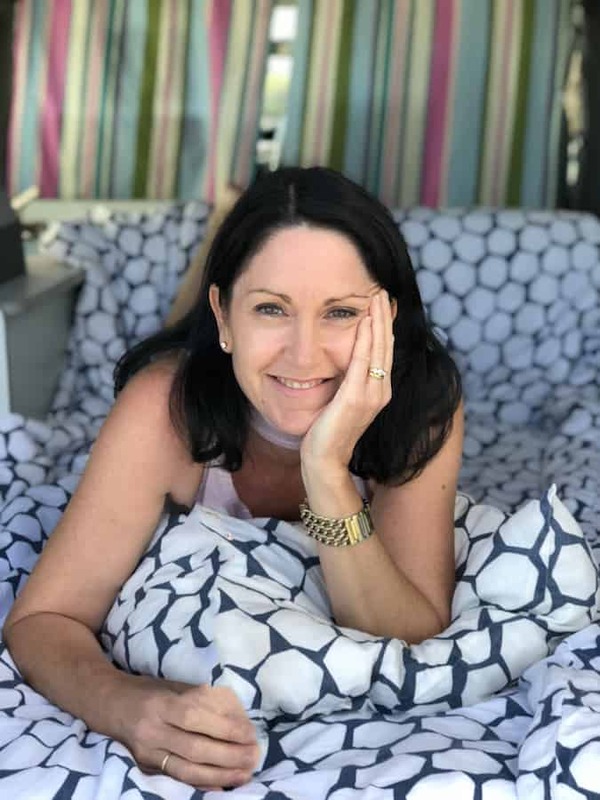 Through Nicole’s vivid and engaging storytelling, our minds are cast back to centuries ago, when seamen, fisherman, sea merchants and others who made their living from the river were going about their business. It’s like a black and white movie in my mind, with lots of yelling and dirty conditions and a sense of fear pervading the docks as the cover of darkness fell. But it was also the time when the dockside pubs became an integral part of this area. With so many seafaring men here, they needed somewhere to drink. There were at least 36 inns that operated here during the 1800s, more than anywhere else in London. Sitting riverside in Rotherhithe, a part of London that would be unlikely to make it onto any mainstream tourist guide is The Mayflower, (previously known as “The Ship” ). Hiding away down a narrow street, it’s a pub as gorgeous on the inside as it is on the outside. Outside, the pub is clearly English, with its baskets of fresh flowers hanging all over the facade. It’s said that this type of tradition dates back to the early beginnings of English pubs that started out as Italian tabernets. Here vine leaves would hang outside indicating that wine was for sale inside. Many people of this generation couldn’t read, so pubs needed to be highly visual with their offering. Today, the flowers don’t really tell us what’s inside, but they easily identify a pub, and for me, it’s quintessentially English. For those who know their American history well, the Mayflower had a key role in the early formation of the US government. In 1620, this ship set sail from the docks at Rotherhithe. With around 102 passengers and 30 crew on board, the ship eventually landed in New England, USA. Today, from the rear of the pub you can still see the original mooring spot of this famous ship. Now, this was a pub and food tour, after all, so we were very excited to see what The Mayflower had to offer. In the dark interior, the walls are decorated with photos and memorabilia of years gone by, all in keeping with the seafaring origins. Our first beer arrives. It will be one of many on this tour. It’s our first real chance to get to know the others on our tour, and what better way to share our stories than over a glass of The Mayflower Scurvy Ale. Avoid looking like a tourist! Never walk into an English pub and ask for a beer. Be specific! Before long, a plate of the English classic bangers and mash is placed in front of us. These bangers were made from real pork and leek, and apart from the shape bear little resemblance to the sausages served during World War One. Made with very little meat and plenty of cereal and water, they would explode when cooked, earning them the name “bangers”. On this occasion, this centrepiece of English cuisine is paired with black pudding, mashed potato (of course) and light red onion gravy. It’s probably also a good time to mention that if you go on this tour, eating a light breakfast is a good idea. This plate of food was incredibly hearty and there was plenty more still to come. Going hungry is not an option on this tour. The food is warm and comforting, matching the interior, and on a cold day, it’s the perfect place to take a rest from the wind. 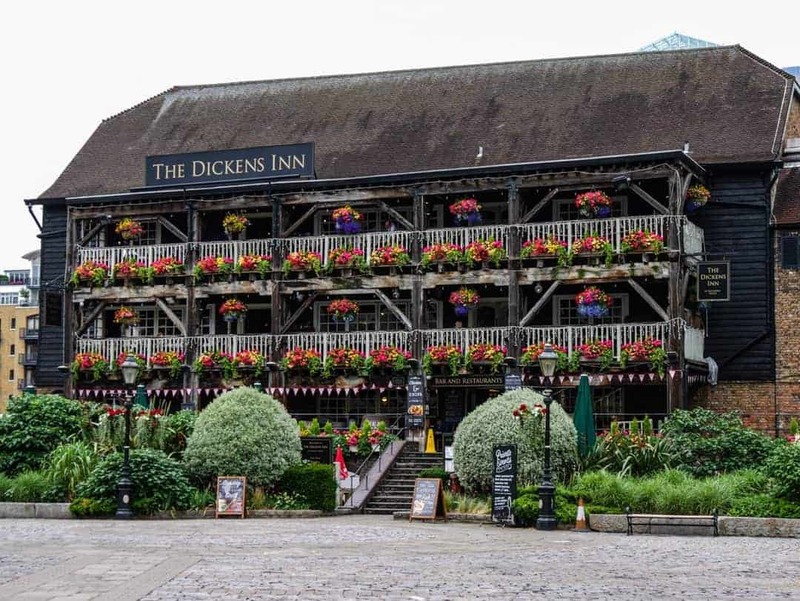 The Old Docks Historic Pub and Food Tour is a walking tour that starts on one side of the Thames and moves across to the other side, where the cobblestone streets become the conduit for learning more about this emerging area. As we left The Mayflower, we caught a train that carried us under the river, via the Thames Tunnel, once considered the eighth wonder of the world. In the 1800s as traffic on the river increased dramatically, an engineer named Brunel commenced the building of London’s first underwater tunnel. Finally opened in 1843, its future as a cargo highway was short lived when it was considered too expensive to get the cargo into it. It became a huge tourist attraction until it was handed over in the later 1800s to the East London Railway and then again in 1913 to the London Underground. It became the starting point of the mass transportation model known as “the Tube”. Today you can still see the original brickworks in the tunnel. 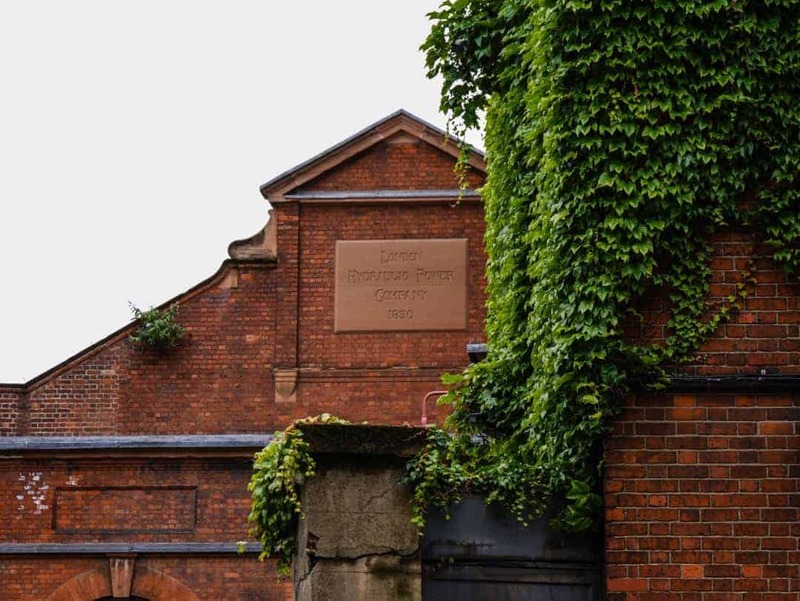 As we made our way to the next pub, our journey took us along the Wapping Wall, a now heritage protected street that was once a bustling hub of warehouses, wharves and pubs. I love how all the cranes, that once would have lifted heavy loads up into the higher levels, are still in place. The imaginative names of English pubs also tickle my fancy, and whilst some appear a bit of a silly play on words, many have a strong tie to something of interest. The Prospect of Whitby, originally known as The Pelican, is possibly the oldest tavern on the Thames, having been built in 1520. As local legend has it, this pub, also known to the locals as the Devil’s Tavern saw plenty of evil plans hatched by pirates and thieves over a pint of ale. Offshore from this pub, the larger ships had to berth mid-river and use lightermen to bring the cargo into shore. This opened up the opportunity to those less than trustworthy seamen to steal. By the time we had finished the tour, I had decided that this was my favourite pub of the day. The stories emanating from it seemed never-ending, and with a rear deck that overlooked the former execution docks, complete with replica gallows, the stories are visually real as well. From the bay window, Judge Jeffries, the hanging judge, would watch as people who had lived a life of crime ended it on the gallows. In true dock tradition, those headed to the gallows were afforded a last pint of ale before they met their fate. They would have needed some kind of Dutch courage. The execution process was particularly cruel, with a short noose ensuring that the person did not die quickly. Rather, it would take the ebb and flow of several tides to wash over them before the end would come. Quite wicked really. The outdoor beer garden, which I am quite sure is wonderful during better weather, is well placed for views up and down the Thames. Inside, the floor is the original flagstone dating back some 500 years. If you think about all the foot traffic they would have had on them during centuries of drinking it’s incredible to think they are still there and in excellent condition. On the posts inside the pub was something I’d never seen before. In the days of the docks, this pub would get very busy and holding a beer sometimes got a little tricky. 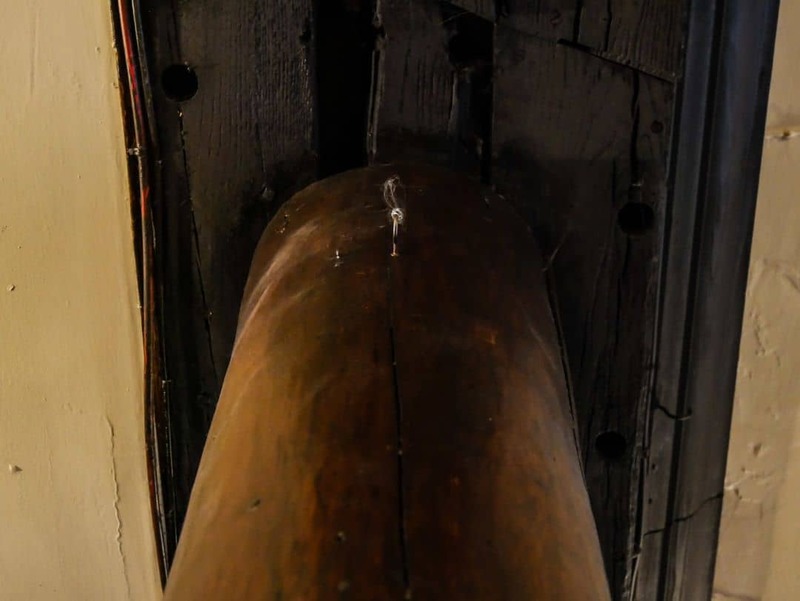 Using a pulley system, the beers were placed on a tray that was pulled up the pole, where they would sit under the ceiling until the patron was ready to drink it. If you look closely in the photo below, you can see the hook. There are always arguments over where fish and chips originated, but who could argue its place in English pub cuisine. Cod sales in the UK account for around 65% of all fish eaten, so it came as no surprise that the golden mound sitting atop chips and peas was cod. 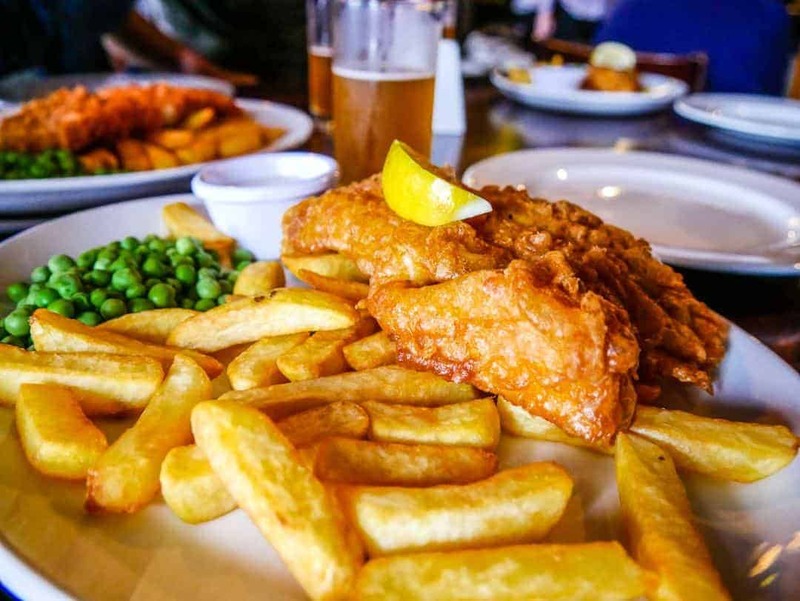 Fish and chips also played an interesting role in English history, with the first fish and chip shops opened up in the front of the family home. During the war years, this dish was the only food type that was not subjected to rationing. This mountain of food was shared between two, thankfully. The fish, with its light layer of crunchy batter and soft, fall apart white flesh was as good as you’ll get. Over an ice cold glass of Trumans Pale Ale, we contemplated the changing face of brewing, as the hipster crowd of today bring their brewing genius and lack of rules into the space formerly occupied only by traditional beer brewers. As the traditionalists argue that craft beer “isn’t beer” and those tucked away in their microbreweries argue that traditional beer needs to be modernised, I can only sit back and be thankful that this clashing of generations and traditions will continue to bring us great beer. This image was not taken on the tour but from a trip we took on the Thames. It was a great chance to see the pubs from the tour from a different perspective. The streets of Wapping are evolving, as is the entire area. The former rundown warehouses are being renovated and brought back to life. Buildings of historical significance are being preserved and the once empty buildings are now some of the most expensive residential apartments. In fact, the apartments around the Shadwell Basin waterway, one of the only remaining parts of the docklands that weren’t landfilled, now see sales exceeding 1 million pounds. There’s still plenty of evidence of the area this once was including the London Hydraulic Power Company. Once the provider of the electricity for all the cranes in the Docklands and for London Bridge, it ceased operation in 1979. After spending a bit of time inside the pubs and of course eating and drinking, it’s nice to be able to get outside and walk the streets and the parks. I love the fact that this is a walking tour and we aren’t spending time in buses or on trains. It’s also a great addition to a tour heavy on food and beer. The Tobacco Dock, originally as large as 40 football fields, has now been reduced to a much smaller parcel of land. Today a replica of one of the trading ships coming from the West Indies remains permanently docked. This pub began its life as the Old Star, but in the late 1980’s it was renamed to Turner’s Old Star to honour former owner and artist Joseph Turner. Joseph was inspired by the docks and the ships that frequented the waterways and spent much time hiding out in the narrow streets and alleys of the Docklands. Later in life, he inherited two buildings and transformed one into this pub. Today, Turner’s Old Star is one of the last remaining traditional East End pubs and is independently owned. Now if we wanted to argue over who invented the meat pie, we could have sat in the pubs all day. Personally, I don’t really mind as long as whoever is providing me with the pie is giving me the real deal. I’m probably not the first to admit that pies can be terrifying. I’ve eaten way too many pies at sporting events over the years that have been less than upfront shall we say in terms of their ingredients. If that didn’t have me worried, our tour guide’s discussion around the pies of yesteryear being made with swans and peacocks didn’t do anything for my imagination. However eating a meat pie in an English pub must be done, especially when on a pub food tour. Pub owner Bernice was pulling our beers today, a glass of unpasteurised, freshly brewed London Pride. It’s a hearty, almost meaty beer, served at room temperature and perfect for the steak pie we consumed. Our five-star dining manners weren’t needed here. We simply wrapped our hands around the flaky pastry and bit into the piping hot interior. I was starting to slow down a little, given this was my third “meal” since midday, but by the time I had finished it, the pie had ticked all the boxes. Enroute to the next pub we made a detour down a narrow alleyway to the Thames so we could see an example of Watermen’s stairs. These ones were named the Wapping Stairs. Built along the river, these stairs formed an important part of the transport network. With a large tidal range of around seven metres, the stairs were used at high tide when the watermen would arrive to pick up their passengers all along the Thames. Looking entirely different at low and high tide, the watermen had to memorise every set of steps and their specific locations. Unfortunately, only a few remain today. Many of the stairs were near pubs. I can only imagine how many people fell into the river after a night on the beers! Look at how slippery they are. The image below shows what they would have looked like at high tide. One of the things I loved on this tour was the variety we were given with respect to the types of pubs. All were old and historic in some way, but they each had their differences. Captain Kidd was not the ubiquitous English pub, all cute, dark and warm. Rather it was built inside one of the former warehouses on the river. Starting out as a coffee warehouse, this pub is now spacious, airy and huge. It’s a great place for a big gathering and the building itself, both inside and outside is beautiful. It’s also an example of a corporate-owned pub. For many, the onset of major businesses buying pubs might have sent a shiver down their spine, and yes there are some downsides to it. 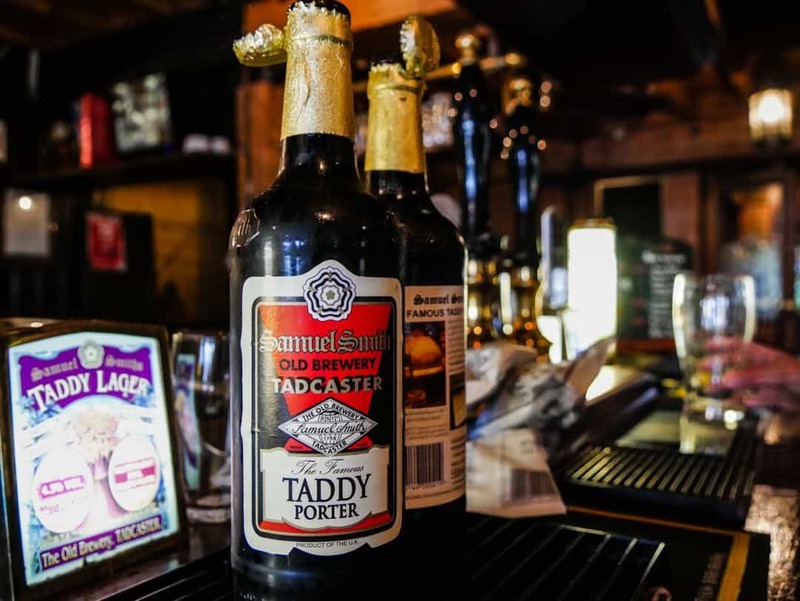 For example, a pub owned by a corporation, as is the case here with Samuel Smith, all product sold on site is manufactured/imported under the Samuel Smith label. This means that if your favourite beer or even a packet of peanuts is not made by them, you won’t find it here. On the plus side, if these corporations didn’t exist and didn’t invest then many of these pubs all over England simply wouldn’t exist anymore. Did you know that it is etiquette in a non gastro pub to take your glasses back to the bar when you are finished if you are only having a drink? At the Captain Kidd, named after a 17th-century pirate who was executed in 1697, we settled in for a yet another beer and a snack. As the dark brown liquid was poured into our glasses, we learned that this beer, a porter, was made for, not surprisingly, porters. Being subjected to carrying large and heavy loads, these men needed loads of carbs to keep their energy levels up. This beer, made from malt was thick and hearty and became the beer of champions for these river workers. The only energy I needed was to be able to walk to the next pub and bend my elbow up for what would be the last beer of the day. This porter, with its smooth finish and it’s strong smell and taste was a nice change to the lagers and ales we’d been consuming. Having made our way from Wapping along the river to Katherines Docks, we were treated to some of the more modern London icons. The final pub took our breath away. Rounding the corner, this enormous pub, completely covered in fresh flowers came into view. It was clear this building had been around a while. You only had to look at the slant of the roofline and the original timber to tell you that this former tea warehouse had stood the test of time. The English like to end their meals with cheese and we were more than willing to support yet another age-old tradition. Our cheese platter included some beautiful English cheese like their famous Stilton. This blue, smelly cheese is produced in only a few regions of England under strict processing control. Personally, I was drawn to the vintage cheddar which paired beautifully with our final glass of the day, a Symonds cider, made with 90% apple juice. A refreshing and cleansing end to a fabulous day of learning, eating and drinking. Want to know more about the historic pub and food tours in London? Whilst this tour was only the second time it had been run, Nicole, the tour guide handled it like a pro. But this was not surprising, as she has been running other tours for London Food Tours for a number of years. With every word that Nicole said, I believed her. Not because she necessarily knew all the information there was to know about a particular area, but because she exuded passion with every word. Having already told us early in the tour that she absolutely loved this area, she treated this tour as if it was her own business. Her level of professionalism indicated she felt more than invested in this business, despite having no financial ownership. This is just perfect when on a tour such as this. The last thing anyone wants is to pay good money to be lead around by someone who is just doing their job. 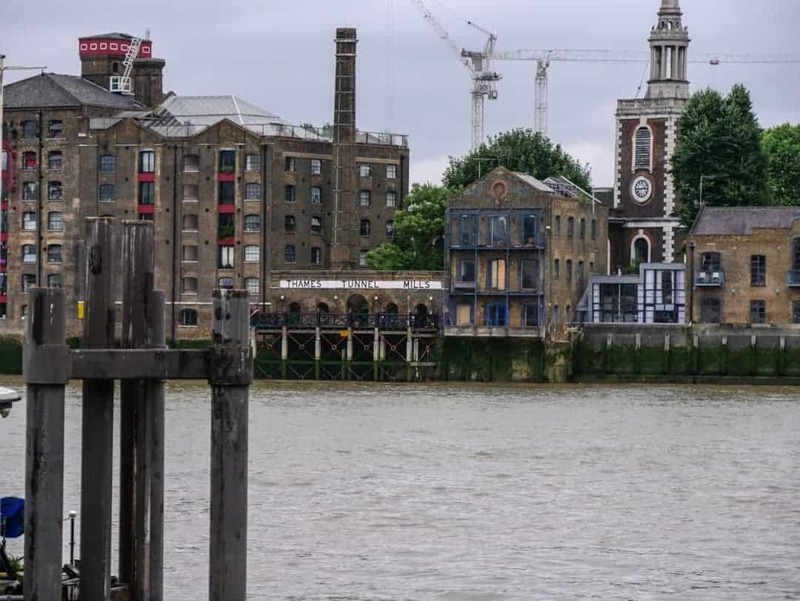 The London Old Docks – Historic Pubs, Food and Beer Tour is operated by Eating London Tours and operates Monday to Friday from 12 noon until 4 pm. This tour is a walking tour so make sure you wear comfortable clothing and shoes. There are plenty of cobblestone streets, alleyways and some stairs so leave your dancing shoes for another time. As there are outdoor components to the walk (and it’s London!) it’s also a great idea to take some wet weather protection, just in case. As noted above, there is also one train to catch so bring your Oyster Card or contactless payment card as well. The meeting point will be close by the first stop on the tour. Eating London Tours communicates very well with its participants by providing you with information on the specific location to meet, including map details and how to get there. It’s important to arrive on time to ensure that the tour group is not held up. If you are too late, the tour will commence on time and you’ll need to catch up. This gave the tour another tick from us as we hate being held up by people who are excessively late. Check the website for accurate and current prices. Pricing includes the four-hour tour that includes stops at five historic pubs, a guide, plus food and drinks at each location. There is plenty of food and drink on this tour. Do yourself a favour and only eat a light breakfast on the day of the tour so you’ve got plenty of room to fit it all in. Advise the company in advance of any dietary issues you might have. Book well in advance, particularly in peak season. In the event that the weather in London is hot, it’s a good idea to take a water bottle with you. 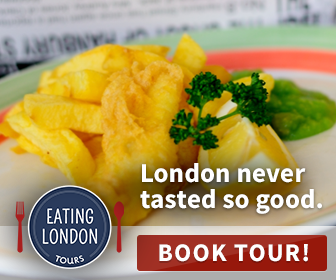 London Food Tours also conduct food tours of the East End, SoHo and Brick Lane. Check out their website for further details or to book. I was a guest of London Food tours but was more than happy to pay for my husband to join me on this tour. As very independent travellers, you might question why we chose to do an organised tour, something we are generally not big fans of. It’s a good question. Sure, we could have just walked around London visiting a succession of pubs (and we did this too! ), but this was about being involved in the stories. It was about feeling as though we were reliving the days of the pirates, seamen and thieves who hid out in the dark alleys and the tunnels. It was about understanding the role the inns, taverns, public houses and pubs played in the lives of those who made their living on or by the water. Anyone can do their own pub tour or pub crawl but on The London Old Docks – Historic Pubs, Food and Beer Tour you get so much more. It’s a great time to explore the UK and Europe, with many of the world’s currencies rallying strongly against the pound and the euro. If travelling to Europe is in your plans, why not check out some of these great Europe tours currently on offer. Not ready to take one now? Save these to your pinterest boards for reference. This looks a fantastic tour. Great photos too. 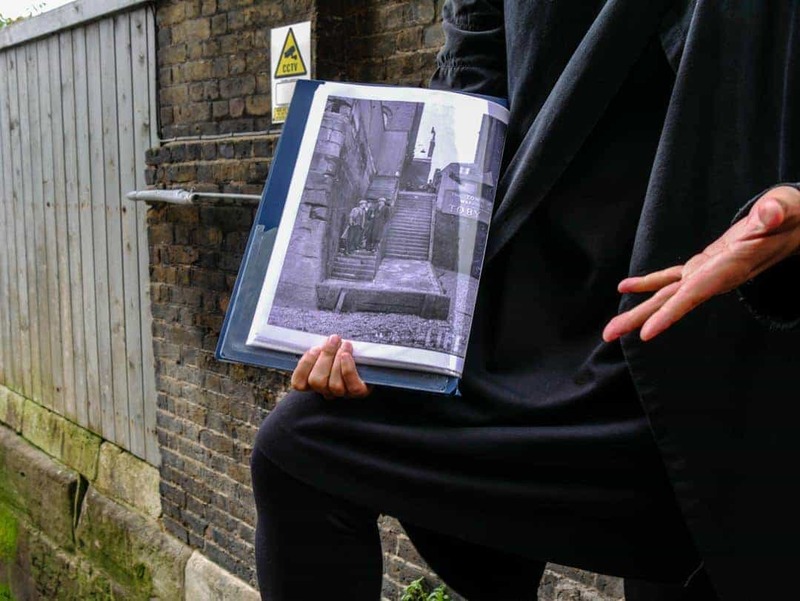 For one who has the stamina it’s surely a must for discovering early London river life. Fabulous post Kerri! Yikes; look at those gallows. A pub tour seems like so much fun because I am always watching my web developer – based in Birmingham – enjoying a pint at his local pub. Or various pubs. I am no drinker but it looks like a comfy, cozy way to grab a bite to eat and to enjoy your afternoon or evening. Cheers Ryan. Yeah, as you might have guessed, we love a good beer so this was right up our alley. Enjoying food along the way, another of our vices, was even better. This was a lovely read! We really love these type of cozy, heritage eateries. And the mix of history and food made it a great read. Have never tries warm beer. Maybe soon in Eaurope. I wouldn’t go out of my way to try warm beer 🙂 but it is worth the experience. 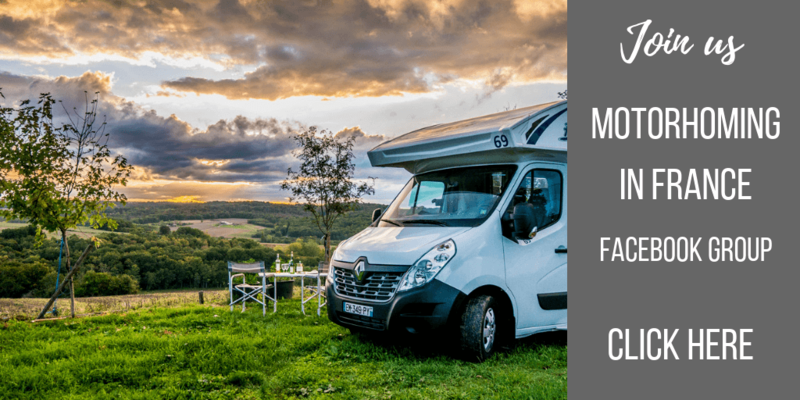 What an amazing looking tour and so reasonably priced for what you covered. London really is a city with so much history and this is such a lovely way to integrate history with the strong foodie culture of the city. I love that you covered so many pubs of different eras and different sizes. The Mayflower looks like such a cosy spot and I absolutely love the myth around The Prospect of Whitby, what a cool experience all round. It was amazing Skye, absolutely loved it. This sounds like a great tour and I love that it includes, food, beer, and history, which makes each stop a little more meaningful. My good friend had family on the Mayflower. I will have to tell her about the pub! When I think of London. I definitely think of pubs. I have the same sort of imagery in my head of old stone buildings and boisterous patrons. It’s interesting to read about the history of the buildings and how they ended up in their locations. 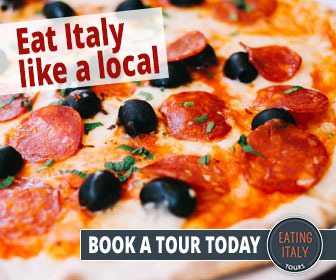 I have recently discovered that food tours are the single best way to explore a city and to discover new items for your palette that you might not otherwise have fallen for! I love your photos, they are so representative of what I envision. I think the atmosphere of an English Pub is the only things that can top a fantastic meal! Fantastic article! 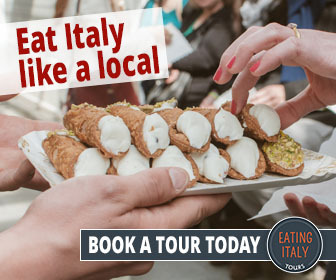 I’ve been following along with you on your food tours! Thanks so much for stopping by mine Amy. Me neither Lindsay, but anything where someone can point out 5 pubs that I probably wouldn’t have seen otherwise and get to drink and eat too, I’ll do it. Warm beer? You wrote warm beer? Anyway, I liked the combination of food & history proposed by this tour, certainly there is much to explore in this area (plus I love fish & chips). You did this tour in June, right? In this case I cannot complain about the Parisian weather that much! I sure did write warm beer because that is exactly what it is! I did the tour at the end of June. I had no idea you could do tours of the pubs in London. It sounds really interesting though to learn the history behind the pubs. I have been to quite a few of the pubs on the thames, though none you visited. The tour looks like a great idea though and something I will have to look into next time I am down there. It was a great way of learning more about them all instead of just going into any old one and having a drink. Though I have never been to London. Books and movies have assured that I am well versed in the historic pubs and taverns of London. I loved hopping on to this tour through your post. Really fascinated by the intriguing history of The Prospect of Whitby.. Wondering what would be going on in the minds of the men who had their pint of ale here and slowly took the short long walk to the gallows. Hard to really imagine what they felt…wouldn’t have been good though! It would be hard to know them all – so many. THe Dickins Inn was a beauty. This is my kind of tour! I would love to do this. I try to do walking food tours every city I can. I’ll keep this one in mind for when I visit London! What a cool tour! It’s great that people are showing UK food and drink off to its best. I’ve no idea how you ate all that though!